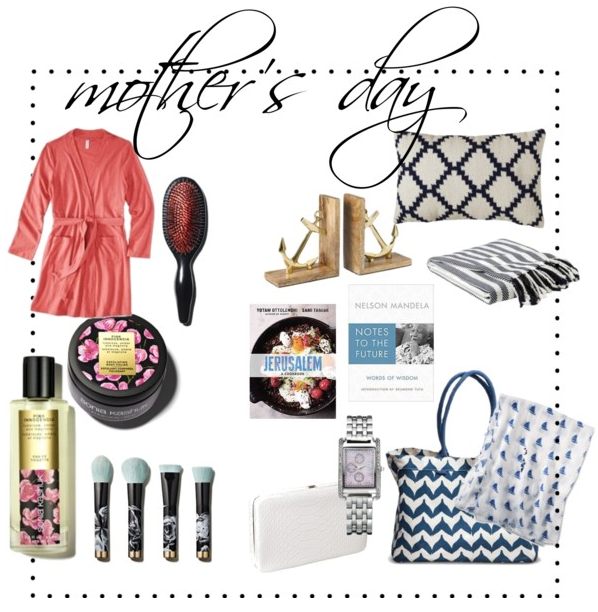 today’s wishlist is for the moms in honor of mother’s day (psst! it’s this Sunday!). I was in target last week to pick up a card for my mom and I couldn’t help but notice all the really fun and nice things that would work well as gifts (for mom…or for yourself ;)). if I didn’t already have a present for my mom, I would definitely have shopped for her present there. so when it came time for this week’s wish list, I decided to create a little collage made up of things all available at the bullseye. seriously, how great is that pillow?! and that sailboat scarf is adorable and practical. note: this is not a sponsored post. I just really like target and spend too much money find really great stuff there all the time.